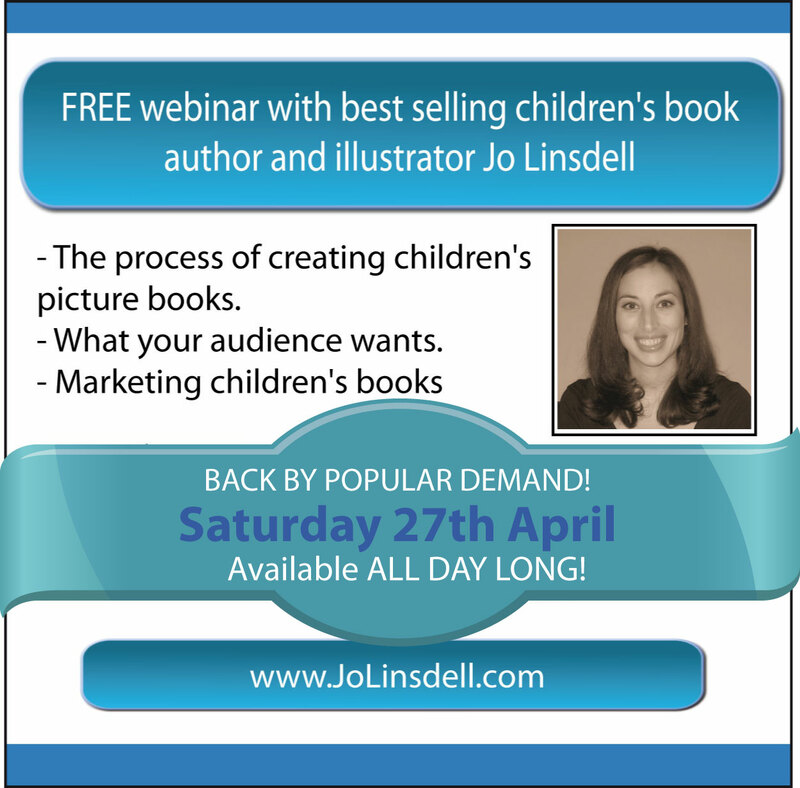 Due to public demand today you have the chance to watch the replay of my free webinar about self publishing children's picture books. In order to give everyone the opportunity to take part I've made it available all day long. 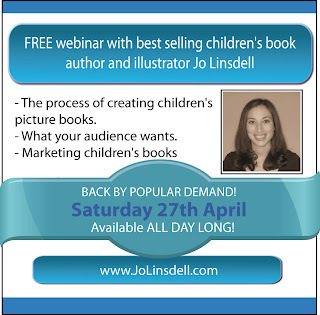 To take part all you need to do is go to www.JoLinsdell.com and click on the webinar banner on the homepage. This will take you to the webinar page where you can watch the video and interact using the social chat-boxes. The webinar lasts about an hour and is packed full of information, tips and advice. I invite you to let your friends and followers know about this event by using the social share buttons on site and by commenting during the webinar via the social chat-boxes.